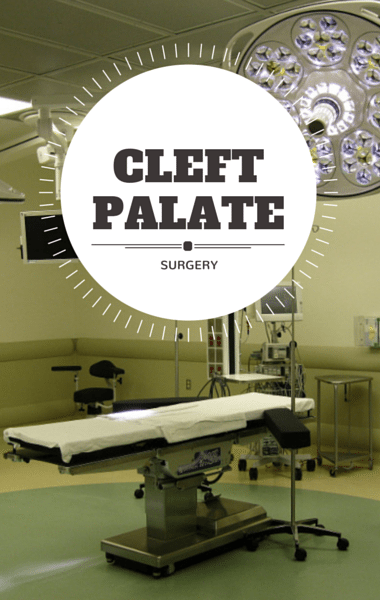 The Doctors shared that Alesha, who was born with a bilateral cleft palate, had to live every day of her life dodging stares from strangers and being unable to eat or drink without difficulty. She met The Doctors a few months ago to share her story and hopefully get some help. After her husband passed away, she tried to date again, but had no success. She also struggled to get a job because interviewers would dismiss her after seeing how she looked. Because of the cleft lip, she had just ten teeth left, but surgeons removed eight of them. The Doctors surprised Alesha by giving her the surgery she needed to fix her cleft palate, and give her the smile she’s always wanted. The Southern Nevada Cleft Palate and Craniofacial Clinic was ready to grant Alicia her transformation. Dr Jeff Moxley was her oral surgeon and explained that they planned on anchoring in implants and screwing on permanent dentures. They inserted the titanium implants, which would fuse with the bone. Dr Ilya Benjamin was the dentist, and he explained that they were going to place the teeth and create a beautiful smile. After getting her new teeth and with three months to recover, Alesha started phase two of her transformation. Dr John Menezes, a craniofacial surgeon, explained that Alesha was going to undergo a lip, nose, and palate reconstruction, as well as surgery on her neck to give her “a better contour.” Part of the surgery involved taking a cartilage graft from her ear and putting it into her nose. The procedure took three hours. The team of doctors and dentists, as well as Alesha’s therapist, joined the show. They shared that the process was incredibly difficult but it was about functionality just as it was about improving the way she looked. Therapist Stacy Kaiser explained that when you have a physical transformation, you have an emotional transformation as well. Alesha has been walking around with a different perspective of herself. More than ten doctors have been involved in Alesha’s journey, helping her turn her entire life around. The Doctors also shared that they sent Alesha to see celebrity hair stylist Ken Paves. Alesha shared that she wanted to donate her hair to Locks of Love. Alesha said, “This wallflower is turning into an orchid.” Alesha also saw Damone Roberts, a celebrity eyebrow guru, to have her eyebrows done. The Doctors were beyond excited to welcome Alesha to their show to share the results of her incredible transformation. They first welcomed Alesha’s father Michael to the show, to share in the moment with her. Michael said he always wanted to have this done for his daughter. He was brought to tears because of how grateful he was for what they did for his daughter. They then welcomed Alesha to the show and she undoubtedly looked absolutely incredible. Michael came up and gave his daughter a huge hug. Alesha said she asked for normal and they gave her stunning. Just about everyone was brought to tears hearing her thank them. The Doctors then surprised Alesha with a $1,500 gift card to Macy’s for a brand new wardrobe. What do you think about Alesha’s incredibly results?